1) DUPLO Valley at LEGOLAND Florida will bring the LEGO DUPLO line of preschool building toys to life for Orlando’s youngest visitors. 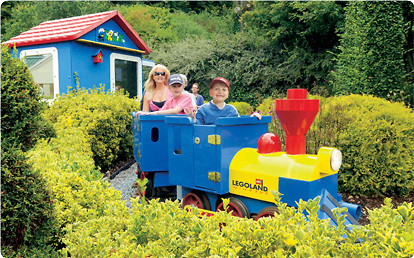 The new farm-themed attractions, including a train, mini tractor ride and water play area, are geared to toddlers ages 2 to 5. 2) Building on the popularity of The Wizarding World of Harry Potter, Universal Orlando Resort in Florida will bring to life some of the experiences and places found in and around London in the Harry Potter books and films. Diagon Alley and ‘London’ will be located within Universal Studios Florida, which is adjacent to Universal’s Islands of Adventure, where guests now experience Hogwarts and Hogsmeade. When complete, The Wizarding World of Harry Potter – Diagon Alley will feature shops, a restaurant and an innovative, marquee attraction based on Gringotts bank. Guests will be able to travel between ‘London’ and Hogsmeade aboard the Hogwarts Express. 3) Walt Disney World Resort in Florida will complete the final phase of New Fantasyland – the largest expansion in Magic Kingdom history – with the Seven Dwarfs Mine Train Coaster. This family coaster will transport guests on a musical ride into the mine “where a million diamonds shine.” Also coming to Magic Kingdom this year is Disney Festival of Fantasy Parade, an all-new daytime parade featuring characters and music from memorable Disney films. 4) Orlando’s tallest and steepest free-fall water slide is coming to Aquatica – SeaWorld’s Waterpark. Ihu’s Breakway Falls will be the only multi-slide of its kind in Orlando. 5) Located in the heart of downtown Orlando, the $429 million Dr. Phillips Center for the Performing Arts will be the new home for Broadway productions and Orlando Ballet among other performances. The arts center will include two performance theaters, a 300-seat community theater, outdoor plaza and banquet room. 6) Visitors with a need for speed will love the new I-Drive Indoor Kart Racing. This multi-level entertainment center includes a half-mile (805-meter) track for the electric-powered go-karts, bowling lanes and an arcade. 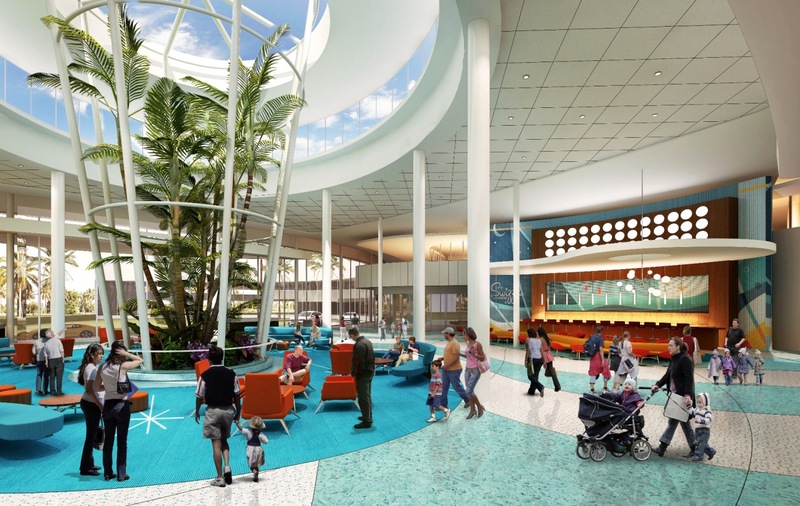 The Swizzle Lounge is a casual bar that will be located inside the main lobby of Universal’s Cabana Bay Beach Resort. 7) Four Seasons Resort Orlando at Walt Disney World Resort is located just minutes from Magic Kingdom and Epcot. With 444 guest rooms (including 68 suites), a Tom Fazio-designed golf course, full-service spa, three restaurants and an elaborate pool area, guests will feel totally immersed in the luxury resort experience. 8) Universal’s Cabana Bay Beach Resort is soon to be the fourth and largest on-site hotel at Universal Orlando Resort. Inspired by retro resorts of the 1950s and 60s, the 1800-room hotel will feature moderately priced family suites and value-priced guest rooms. When complete, guests can experience a 10-lane bowling alley and enjoy two massive pools with sand beaches, a lazy river, waterslide and more. 9) Capa boasts Spanish influenced cuisine and nightly views of Magic Kingdom fireworks. This rooftop steakhouse will be located on the 17th floor of the Four Seasons Resort Orlando at Walt Disney World Resort. 10) It’s all about Southern comfort food at The COOP in foodie haven, Winter Park. For this new restaurant concept, John Rivers, owner of the local-favorite 4 Rivers Smokehouse, will serve classic southern dishes like chicken and waffles, deviled eggs, buttermilk biscuits, po’ boys and artisanal pies.